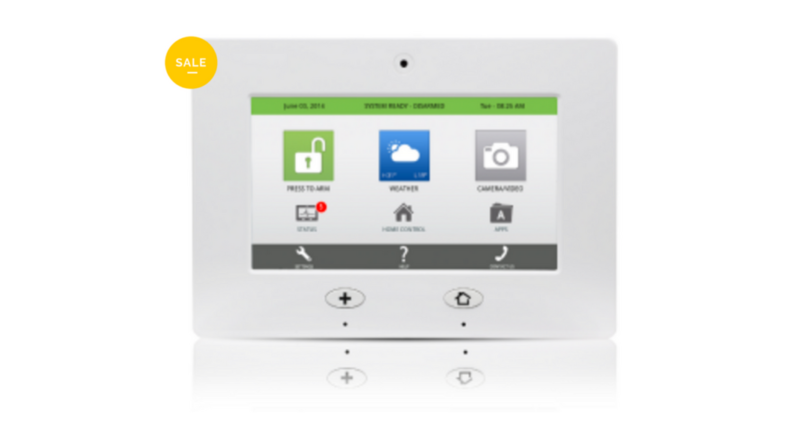 Do you have the Qolsys IQ Panel in your home or business? The Qolsys IQ Panel is very user friendly touchscreen. That said, there are some questions you may about how to utilize some of its best features. We’ve rounded up the top 10 Qolsys IQ Panel frequently asked questions. Let’s get straight to them. FAQ #1: How do I access the settings? It’s making me enter a code but I didn’t set one up. If you didn’t already set up a code, you may be able to use the Default Dealer Code and Default Installer Code. FAQ #2: How can I add a new sensor to my security system? FAQ #3: What’s the difference between “Auto Learn Sensor” and “Add Sensor”? With Auto Learn Sensor, you can trip or tamper (set it off) the sensor, and then simply edit the information. With Add Sensor, you can manually pair the sensor by entering the DL code or Serial number. FAQ #4: What’s the difference between Stay – Instant Motion and Stay – Delay Motion? Stay – Instant Motion: The alarm is armed to “Stay,” and will trip instantly when any motion is detected. However, the alarm doesn’t trip if an entry/exit sensor is tripped first. Away – Delay Motion: The alarm is armed to “Stay,” and triggers an entry delay when any motion is detected. However, the alarm doesn’t trip if an entry/exit sensor is tripped first. FAQ #5: How many Z-wave light modules and door locks can be supported with the Qolsys Panel 1? The maximum number of Z-wave light modules you can use on the Qolsys Panel 1 is 30, and the maximum amount of door locks is 6. FAQ #6: I removed/added a Z-wave device to my system but need to connect it to my network. How do I do that? It’s that easy. Check the box next to the specific device you want to rediscover, and hit rediscover. The status will log the date and time of the rediscovery. FAQ #7: How can I test to see if all my sensors are working? Your sensors will be displayed on the screen. Simply tamper a sensor to test it. The screen will display the status, and the system will also audibly indicate the status. FAQ #8: How do I make sure the software I’m running is up to date? You can turn on automatic software updates, so you’ll never be behind. Double check to make sure that the Automatic Updates button is selected. You can adjust the update interval simply by clicking on Automatic Upgrade Interval. FAQ #9: My Qolsys Panel 1 is running into some issues and I want to reboot it. Is that difficult? Then, just wait for the panel to restart. **Note: If you don’t follow these steps carefully you may lose date or experience data corruption and/or panel failure. FAQ #10: What does “Neighbor Info” mean? The Neighbor Info can show you which devices are dependent on others to communicate and connect to the Qolsys Panel 1.